What’s the Best Alkaline Water? The question “what’s the best alkaline water” addresses several areas of concern. When I first began drinking alkaline water, I didn’t know what the correct pH range was or what “ionized” water meant. Before I jump into today’s lesson, I’d like to say good morning to everyone. So far I’ve had my morning cup of green tea and a few glasses of pH 9.0 water. The growing and sustained trend of more energy and fewer hours asleep continue to enhance my life on incalculable levels. A quick background on me for first-time or even returning visitors. What’s the Best Alkaline Water to Drink? What Are the Best Alkaline Water Machines? I suffered from chronic fatigue for over a decade, which came with a whole host of fun symptoms to deal with on a daily basis. I tried every “healing” herb and supplement in the book with mixed results. One day I would feel great, then the next day I would crash again. Nothing ever gave me a consistent feeling of well-being. Eventually, I submitted to my new life. My productivity was still there but not where I wanted it to be. I would sleep for hours on end every day to have enough energy to work, do my weight training, and still fit some fun into my life. Then I moved to Taiwan. One afternoon, I walked into the 7-Eleven and noticed this shiny green bottle of water staring back at me. It felt as if it had reached into my soul and pulled me toward it. The bottle had Chinese and English writing on it. I had heard about alkaline water before but never gave it a lot of thought. In my mind, herbs and natural supplements were the best natural way to heal. So I started drinking the alkaline water every day. I loved it so much that I drank more water than usual, yet I made fewer trips to the bathroom. One of the many alkaline water benefits is alkaline ionized water’s ability to hydrate our bodies more efficiently. Now, I know that my body was absorbing more of the water I was drinking. Awesome! After a couple of weeks, I began drinking another brand of alkaline water with a pH of 9.0. I began swishing my mouth with the alkaline water after I brushed my teeth and continued to drink it throughout the day. Suddenly, my energy came back! Also, my sore gums weren’t sore anymore, and they still aren’t. After the first couple of days, I thought it was a fluke since I had felt that feeling many times before. There’s almost nothing worse than feeling great for one day with false hopes that the fatigue is finally gone, then the next day, bam! It’s back. The longer I drank alkaline water the less I needed to sleep to feel refreshed in the morning. The energy to do all the work I had been putting off invigorated my senses. My symptoms of depression began to disappear, and I became a whole new man. A new sense of calm entered me, and it hasn’t left since! Now, back to the point of the article. It’s best to drink alkaline water fresh from the ionizer. 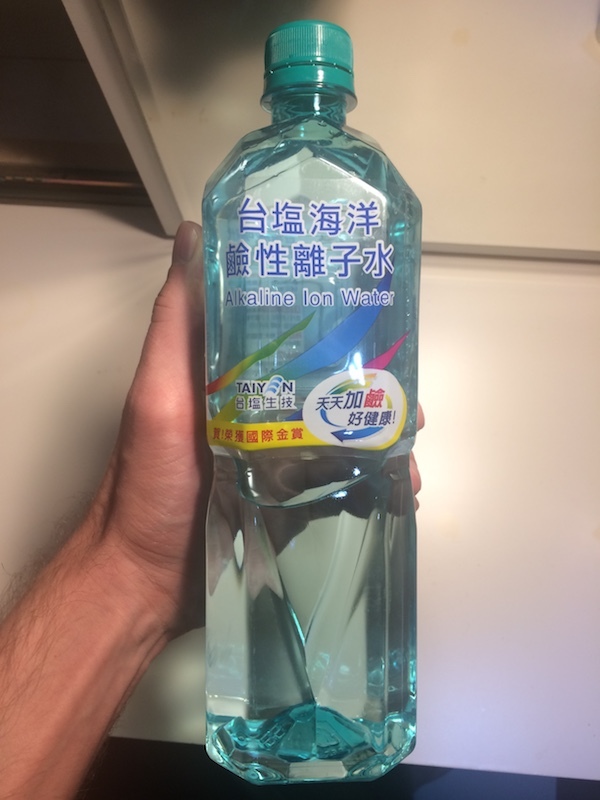 Even when I bought the bottled version of alkaline ionized water in Taiwan, I always tried to choose the freshest bottles. However, owning an alkaline water machine is the best choice you can make if you’re after the best alkaline water. The luxury of having a premium alkaline water machine in your home is one of the greatest luxuries this world has to offer. Families all over the world are beginning to install water ionizers in their homes. Entire families are experiencing less sickness throughout the year and happier than ever before. There is a ton of misinformation currently being pushed on the internet to Americans to suppress alkaline water. Take a look at any of my alkaline water machine reviews to see for yourself that verified owners of the machines are reporting amazing health benefits. I can tell snake oil when I see it, and alkaline ionized water is the furthest thing from snake oil. I’ve always been skeptical and have a B.S. degree from Clemson University. Miraculously, I made the dean’s list each semester and graduated with honors. I spent a ton of hours researching all the water ionizers on my site to make sure that I only shared the best alkaline water machines with you. My chronic fatigue journey also made me an expert on snake oil. Feeling unwell made me reach for healing through almost any means possible. I’m sure some people reading this article right now can relate to that feeling. The human body is made up of mostly water (60%). And get this, your lungs are about 83% water while your muscles and kidneys are about 79%. Just imagine how important it is for you to drink healthy water for proper lung function. When your lungs work better, your body and mind feel better. Healthy oxygen levels in the body are paramount for wellness. It makes sense that healthy water has limitless healing powers. Alkaline ionized water has the power to heal the body’s cells and reverse harmful acidity throughout the body. People who suffer from digestive problems and acid reflux experience massive reductions in their symptoms by drinking alkaline ionized water alone. There are a few things to consider when you first start drinking alkaline water or even if you’ve been drinking it for a while. It’s best to start slowly. Don’t drink water with too high of a pH and shock your body. The healing process takes months or even years. You’ve most likely drunk slightly acidic water for most of your life, and it’s not your fault. But don’t worry, it feels absolutely divine to cleanse and oxygenate your body with alkaline ionized water. Start with a slightly alkaline pH of 8.0. Then work your way up to pH 9.5. There is a general consensus in the alkaline community that alkaline water with a pH of 9.5 has the most profound healing effects on the human body. Chanson believes this is the point at which cell rejuvenation begins to occur. I myself noticed that working my way up through the different pH levels worked best. 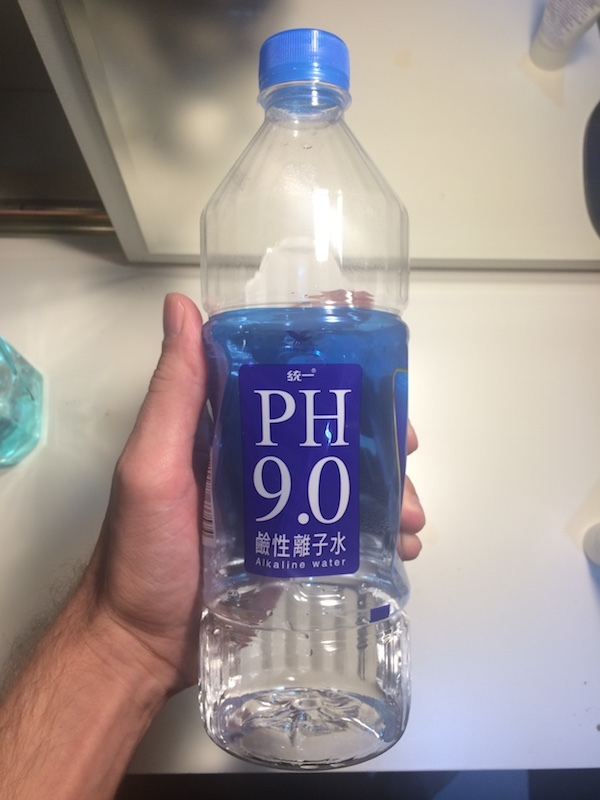 Now I regularly drink water with a pH of 9.0, and it gets the job done. Every alkaline water brand included on my site is 100% legit. I did my thorough research and found that these companies had the least negative reviews. Most of the ionizers listed here have 80% or more 5-star reviews, and as we all know, no product is perfect. Whenever I buy something with 80% or better 5-star verified reviews, I know I am more than likely purchasing a great product. All the companies above provide cutting-edge technology you can count on. They also offer lifetime warranties and prompt, friendly customer service. A lot of reviews written by verified owners of their products refer to the customer service reps by their first names. I’ve read reviews written by people who have received replacement parts free of charge without having to pay a dime for shipping. 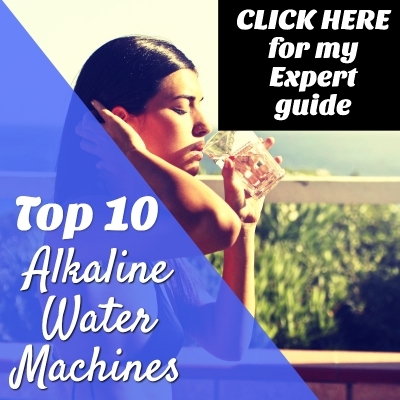 If you want to see a complete comparison and buyer’s guide for alkaline water machines, click here for my list of top 10 ionizers. There you will find sortable tables, photos, current lowest prices, and more information about alkaline water than you’d ever want to know. When I set my mind on something, I learn it until I master it. At this point, I know a wealth of information about alkaline water. My reviews make your life easier by cutting down on the time you spend researching water ionizers before you buy your first, second, or even third alkaline water machine. In each of my reviews, I highlighted all the most important information to make it simple for you to find. I think in less than ten years, alkaline water will be in most American kitchens. For example, NBA living legend LeBron James is a huge alkaline water advocate. I’ll believe him before most people on Earth. The man is in amazing shape. People are waking up and no longer want to drink water from the tap that is full of chemicals. Alkaline ionized water is packed with antioxidants that slow down the aging process. For decades, people have bought bottled water and thought they were drinking healthy water. Now we all know that this isn’t true. It’s similar to the way a lot of people have stopped smoking cigarettes once they realized what they actually do to the human body. It’s more important now than ever before to provide your family with the best possible water in this increasingly toxic world. Investing in an alkaline water machine is one of the best decisions you can make for you and your family’s health. I know I for one am a testament to the amazing healing effects of alkaline water. The two most important factors for you to consider are the alkaline water brand and the pH of the water you are drinking. Also remember, the “ionized” part of alkaline water is where a lot of the real benefits are. You can click here to read more about ORP in one of my previous articles. Natural, deep healing doesn’t happen overnight. It’s crucial for you to work your way up the pH ladder slowly and responsibly. In the end, your body will thank you for the rest of your life.